This past Friday Brilliant Classics released the sixth two-CD volume in the project of Dutch harpsichordist Pieter-Jan Belder to record the 297 compositions collected in The Fitzwilliam Virginal Book. Since the first volume was released in March 2012, the project has proceeded at a relatively slow pace; so it was with a bit of relief that I read that this new release is the penultimate one for the entire project. When completed, this will stand as a major undertaking for music that seems to have been compiled for personal recreation, rather than for performances before an audience. The composer that receives the most attention on this new release is John Bull. Nine of Bull’s compositions were included in the very first volume of Belder’s project. 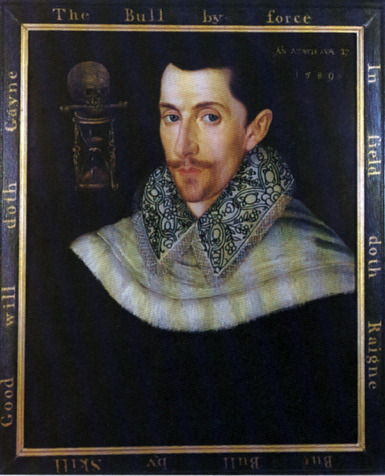 He was one of the three composers, along with William Byrd and Orlando Gibbons, whose music was published in the early seventeenth-century volume Parthenia. Both Byrd and Bull are generously represented in the Fitzwilliam collection, while there are only two Gibbons selections in Fitzwilliam, one of which, “The Woods so wilde” is included in this new release. On the other hand the 28 Bull compositions that have now been recorded still leave sixteen of his Fitzwilliam entries remaining for the final volume. For the most part Belder configures the instruments he plays (three different ones on this volume) to bring clarity to all of his keystrokes. Because dynamics are so much more limited on the harpsichord, distinguishing foreground from background is not always an easy matter. Nevertheless, Belder’s technique tends to facilitate the listener sorting out the ornaments from what is being ornamented. The act of listening, nevertheless, can be as challenging as the act of playing; but Belder’s dexterity at the keyboard invites the attentive listener to rise to the challenge.